Life Before the Dinosaurs: Halysites. 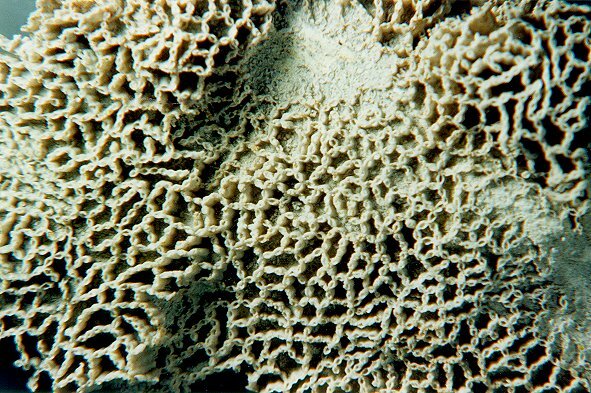 Halysites, commonly called "chain coral," is a coral that lived from the Ordovician to the Silurian Period. It looked like a bunch of straws or tubes linked together. From above, Halysites looks like a mass of chains or a brain. From the side it looks like a fence. Each individual corallite, or cell, is 2 to 6 mm in diameter. In each individual tube there was a tiny sea anemone-like animal called a polyp, similar to what you find in modern corals. 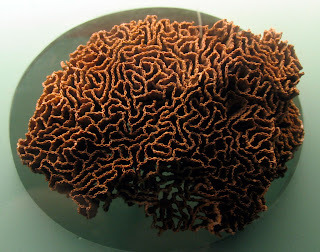 Corals today prefer warm, shallow, clear seas, so tabulate corals like Halysites and their relatives probably did too. So when sea levels rose in the Devonian, they became rare and then died out two periods later, in the Permian mass extinction. Just found, and bookmarked your blog. I enjoy it because it reminds me of my own little boy. When he was your age, he loved to talk to me about dinosaurs, and the planets, and all things related to science. He isn't so little anymore, he's studying at the University of Missouri to become a doctor. Thanks for reminding me of my son, and thanks for the great blog! Great blog! I'll be checking your blog out frequently. 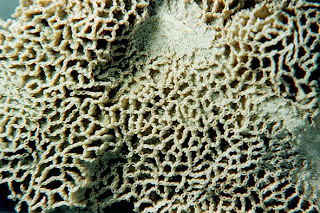 It's interesting with this chain coral how deep the folds are. Certainly seems to have more surface area than alot of living corals. 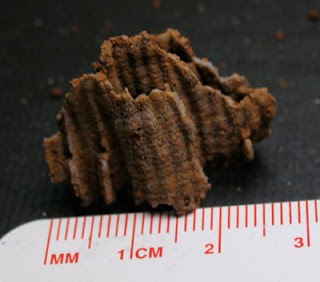 In some ways the deeper folds make it look more like a sponge. Do you have any specimens of the organisms you post on here? @Gober I think that's cool that I remind you of your son. I think I'm going to be a paleobiologist when I grow up and study unclassified animals and other cool extinct life forms. @Mike C I have one specimen of Elrathia kingii, two specimens of Orthoceras, and one fossil of Greenops. And some fossils of animals I did not post because they are Mesozoic or Cenozoic. I can also earn 19 other Elrathia kingii specimens for doing chores and being good behaved.